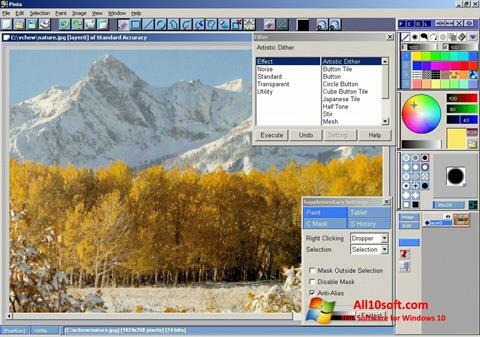 Pixia for Windows 10 - A tool for creating bitmap images using software and external interfaces. The application supports professional tablets and styluses, allows you to organize interaction with touchscreen displays, supports recognition of the degree of depression, the angle of inclination. Uses user profiles for quick access to selected tools, includes tools for working with three-dimensional layers, transparent gradients, vector elements. Perceives PhotoShop plugins, includes the ability to overlay filters, select, combine elements from different sketches. You can free download Pixia official latest version for Windows 10 in English.